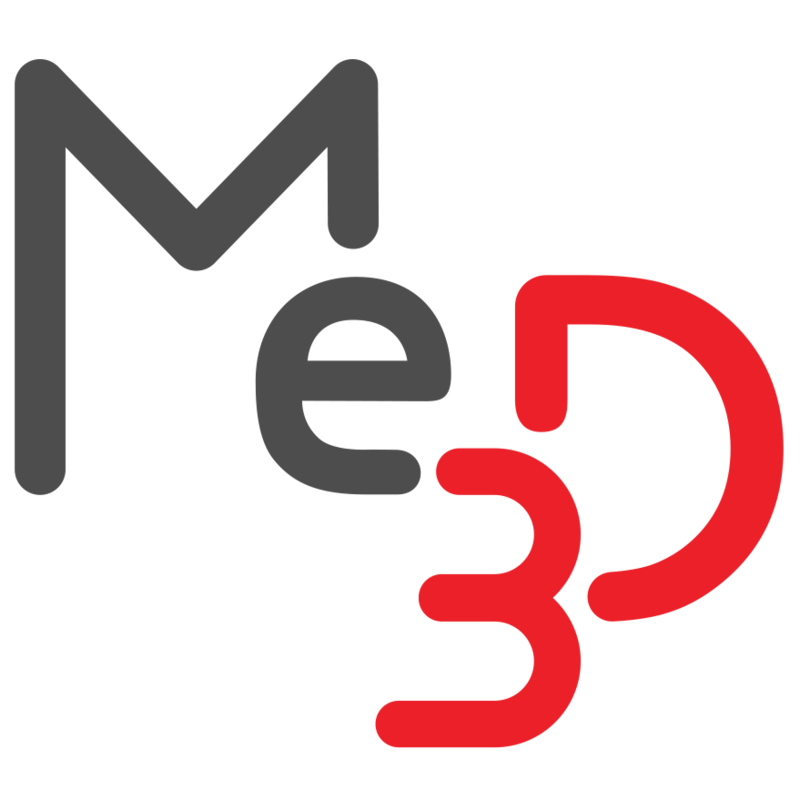 Check and tighten a loose axis – Me3D Pty. Ltd.
As a 3D printer, Me2 is actually a “Cartesian” robot, meaning is has 3 axes: X, Y and Z. Each of these axes is perpendicular to the other two. To square up each axis and make sure they are level we use eccentric spacers to tighten the wheels into the grooves along each axis arm. Power up Me2 and connect to BuildFlow. On the 'CONTROL' page in the maintenance console, use the movement buttons to lift the Z-Axis clear of the bed by 40-50 mm. With the Y-Axis (the bed) all the way to the right, steady the base of the machine with one hand and with the other lightly jiggle the Y-axis forward and back, then up and down. If you can feel ‘knocking’ and the Y-Axis doesn’t feel tightly bound to the base, one of the wheels is loose. With the X-Axis either all the way back or all the way forward, once again steady the machine by holding the Z-Axis arm (the vertical arm bolted to the printer base) with one hand and jiggling the X-Axis arm. If you feel knocking, there could be a loose wheel. Repeat step 4, this time holding onto just the gantry (the plate that the X-Axis mounts onto) to determine if the loose wheel is between the Z-axis and the gantry, or the gantry and the X-Axis. You will need a 10mm spanner for this task. The basic process is to use your thumb to identify any wheel that is too loose, then use the spanner to tighten the matching eccentric spacer, pinching the two wheels tighter together. You then repeat this process for the other matched pair of wheels on each axis until all four wheels are tight and the knocking has disappeared. Make sure the extruder head is not resting on the print bed. Move the Y-Axis all the way to the right. You should be able to see two wheels from above. Try to turn the wheel at the back gently with your thumb, and jiggle the Y-Axis while looking at the wheels. If the wheel spins freely, or you can see movement between the axis arm and the wheel, this side needs to be tightened - go to step 4. If the axis doesn’t appear to move and the wheel offers some resistance, this side is fine. Skip to step 5. Using a 10mm spanner, grip the eccentric spacer below the wheel at the front and gently turn no more than 1/16th of a turn clockwise. The wheel should tighten in against the axis arm. Repeat the thumb test from step 3 and tighten until the wheel can slip but not spin freely. CAUTION: Be careful not to overtighten the eccentric spacer or you may damage your Me2. Move the Y-Axis all the way to the left. You should now be able to see the other two Y-Axis wheels. Again, try to turn the wheel at the back gently with your thumb, and jiggle the Y-Axis while looking at the wheels. If the wheel spins freely, or you can see movement between the axis arm and the wheel, this side needs to be tightened. Using a 10mm spanner, grip the eccentric spacer below the wheel at the front and gently turn no more than 1/16th of a turn counter-clockwise. The wheel should tighten in against the axis arm. Repeat the thumb test and tighten until the wheel can slip but not spin freely. CAUTION: Be careful not to over-tighten the eccentric spacer or you may damage your Me2. If you still feel knocking when you jiggle the Y-Axis repeat from step 2, identifying which wheel is loose, gently tightening in small increments until it feels solid and checking the wheels at the other end. Raise the extruder head clear of the bed to about 100mm, and move the X-Axis all the way to the back. This will ‘unload' the lower front wheel. Try to turn the lower front wheel gently with your thumb and jiggle the X-Axis up and down while looking at the front wheels. If the wheel spins freely, or you can see movement between the axis arm and the wheel, this side needs to be tightened - go to step 3. If the axis doesn’t appear to move and the wheel offers some resistance, this side is fine. Skip to step 4. Using a 10mm spanner, grip the eccentric spacer below the wheel at the front and gently turn no more than 1/16th of a turn counter-clockwise. The wheel should tighten in against the axis arm. Repeat the thumb test and tighten until the wheel can slip but not spin freely. CAUTION: Be careful not to overtighten the eccentric spacer or you may damage your Me2. Also, be careful not to pinch the wire that runs by the eccentric spacer. Now, move the X-Axis all the way forward. This will unload the rear lower wheel. Try to turn the lower rear wheel gently with your thumb and jiggle the X-Axis up and down while looking at the rear wheels. If the wheel spins freely, or you can see movement between the axis arm and the wheel, this side needs to be tightened. Using a 10mm spanner, grip the eccentric spacer below the wheel at the rear and gently turn no more than 1/16th of a turn clockwise. The wheel should tighten in against the axis arm. Repeat the thumb test and tighten until the wheel can slip but not spin freely. CAUTION: Be careful not to overtighten the eccentric spacer or you may damage your Me2. If you still feel knocking when you jiggle the X-Axis, first try to identify which side of the gantry the knocking is coming from; the X-Axis or the Z-Axis. If it is still the X-Axis, repeat these instructions from step 1, identifying which wheel is loose, gently tightening in small increments until it feels solid and checking the wheels at the other end. Raise the extruder head clear of the bed to about 100mm, and move the X-Axis all the way to the back. This will unload the lower front wheel. Try to turn the lower front wheel gently with your thumb and jiggle the gantry forward and back while looking at the upper wheels. If the wheel spins freely, or you can see movement between the axis arm and the wheel, the lower wheels need to be tightened - go to step 3. If the axis doesn’t appear to move and the wheel offers some resistance, the lower wheels are fine. Skip to step 4. Using a 10mm spanner, grip the eccentric spacer that the lower front wheel is mounted on and gently turn no more than 1/16th of a turn counter-clockwise. The wheel should tighten in against the axis arm. Repeat the thumb test and tighten until the wheel can slip but not spin freely. CAUTION: Be careful not to overtighten the eccentric spacer or you may damage your Me2. Also, be careful not to pinch the wire that runs by the eccentric spacer. Now, move the X-Axis all the way forward. This will unload the top front wheel. Try to turn the upper front wheel gently with your thumb and jiggle the gantry forward and back while looking at the upper wheels. If the wheel spins freely, or you can see movement between the axis arm and the wheel, the upper wheels need to be tightened. Using a 10mm spanner, grip the eccentric spacer that the upper front wheel is mounted on and gently turn no more than 1/16th of a turn clockwise. The wheel should tighten in against the axis arm. Repeat the thumb test and tighten until the wheel can slip but not spin freely. CAUTION: Be careful not to overtighten the eccentric spacer or you may damage your Me2. If you still feel knocking when you jiggle the X-Axis, first try to identify which side of the gantry the knocking is coming from; the X-Axis or the Z-Axis. If it is still the Z-Axis, repeat these instructions from step 1, identifying which wheel is loose, gently tightening in small increments until it feels solid and checking the wheels at the other end.